For us, collaboration with new and different artists serves as a means to combine and extend our present practices towards new creations of works. 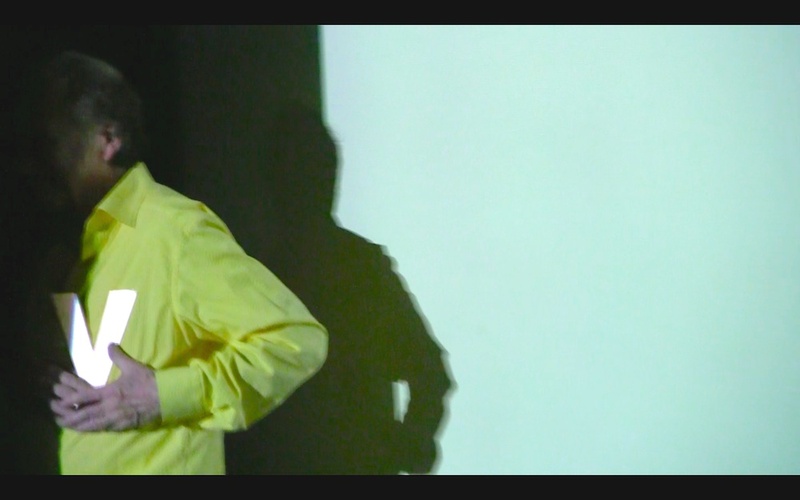 Before we decided to become OTTARAS (Norwegian poet Ottar Ormstad and Russian American sonic artist Taras Mashtalir), we "found each other" at E-Poetry 2013 in London. We met after a performance by Mashtalir (with Machine Libertine) in Bergen and began working together. 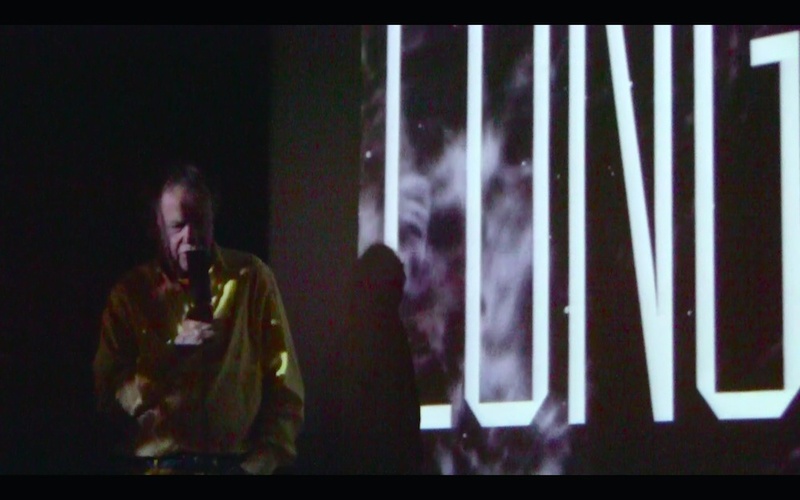 In our work, we combine concrete poetry that is written and read live (or recorded) by Ormstad, who performs to ambient music composed by Mashtalir. 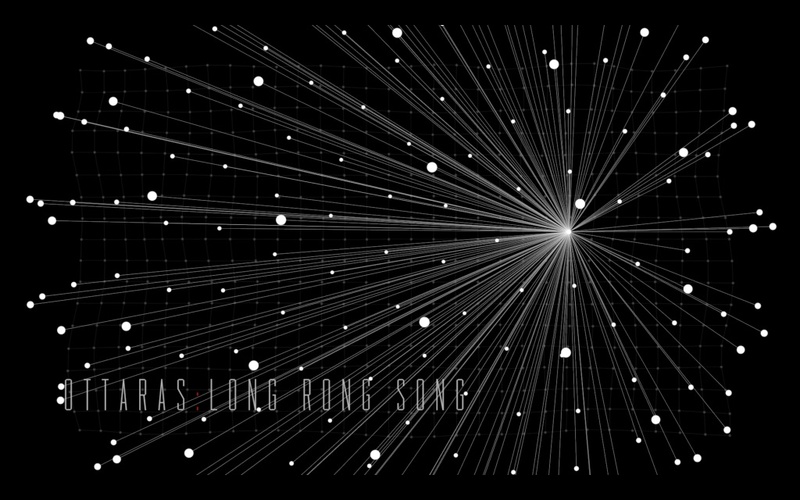 OTTARAS: LONG RONG SONG: Title Screen. From the beginning, the idea was to collaborate with different video artists, or contribute videoworks by ourselves. In the present work, visuals are created by Russian video artist Aleksander Vojjov. 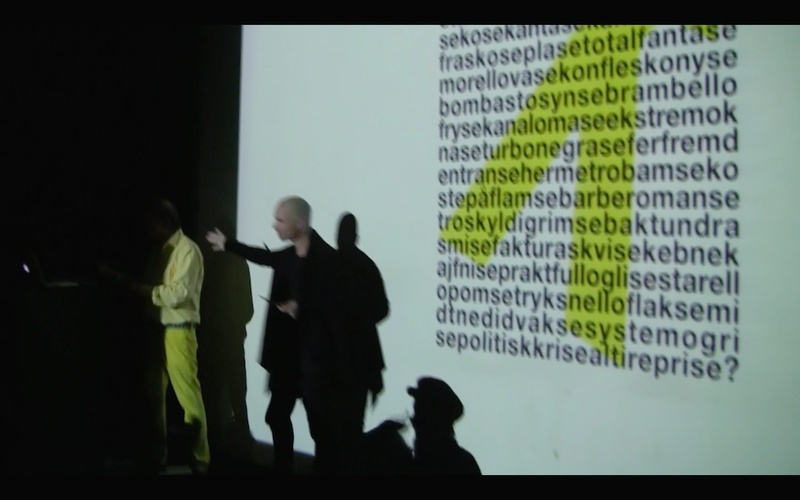 Since premiering "3 CONCRETE" (LONG RONG SONG; NAVN NOME NAME, and kakaoase) at the ELO conference in Bergen 2015, we have continued to extend concrete poetry to new dimensions. Our collaboration is inspired by goals of raising awareness of electronic poetry and sonic ecology, attracting new audiences to a potent yet still-emerging genre. 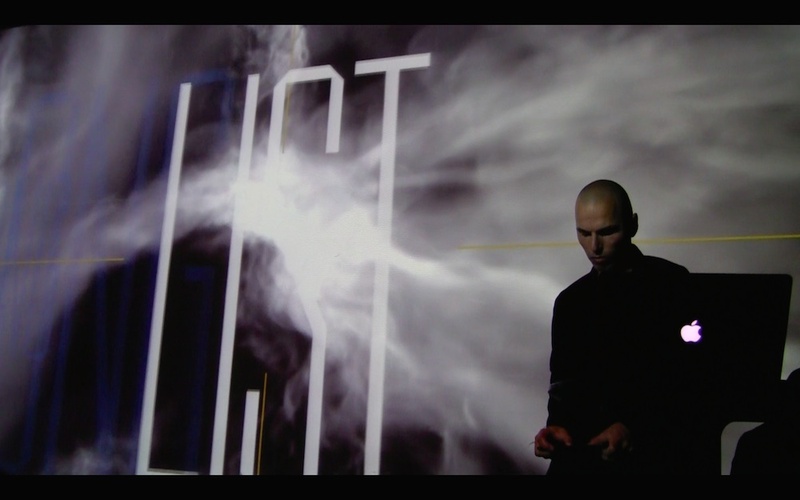 Projected on a grid of particles that at times seem ordered, while sometimes chaotic and always in flux, Ormstad's constructed language poetry is exposed and read by the author while performing to Mashtalir's pulsating music and Vojjov's atmospheric landscapes in the first two works LONG RONG SONG and NAVN NOME NAME. The first is based on Ormstad's language research project from his second book of concrete poetry from 2004 (AUDITION FOR FENOMENER UTEN BETEGNELSE, which may be translated as Audition for Phenomena without a Name). In that work, Ormstad creates words that may, or may not exist in any language, and these are related to Vojjov's creation of numbers, geometric forms and abstract shapes. The second video NAVN NOME NAME is created on the basis of the book telefonkatalogdiktet, Ormstad's collection of poetic family names used in Oslo, Norway — also here accompanied by Vojjov's world of cosmic shapes. The last track kakaoase exists in two video versions (one video made by Vojjov, the other by Mashtalir), it is based on a printed picture by Ormstad where he's playing with the Norwegian language. Most of the words have no — or almost no — meaning. In the performance, Ormstad presents sound poetry and Mashtalir's music makes this an exceptional possibility for dancing to concrete poetry! All works exist in different versions made for screening and live performance. 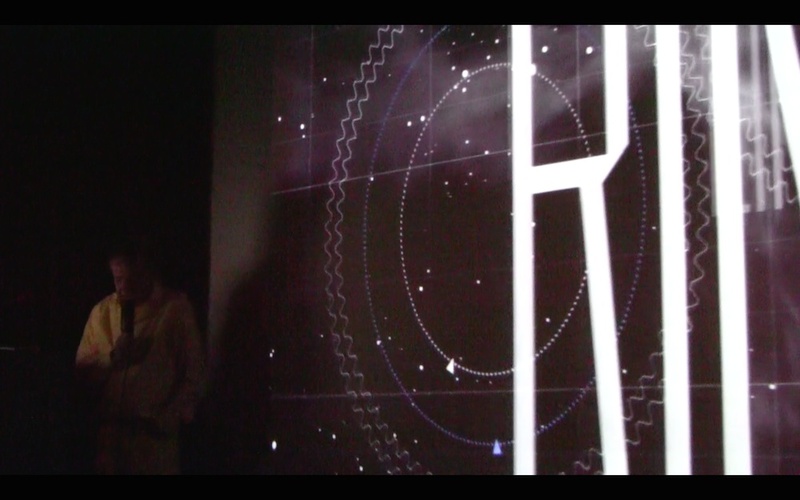 Slideshow: Performance of OTTARAS: LONG RONG SONG at the Electronic Literature Organization conference, Bergen, Norway, June 2015. Norwegian poet Ottar Ormstad is author of the books het still (2003), AUDITION FOR FENOMENER UTEN BETEGNELSE (2004), telefonkatalogdiktet: samlaget (2006), and bokstavteppekatalogen (2007). His poetic works include svevedikt (Afsnit P, 2006), het still & y (yellow poetry) (Nokturno, 2007), LYMS (2009), when (2011), natyr (2013), and mooon (2015). In addition to Conferences and Festivals of the Electronic Literature Organization, he has exhibited and screened works at four E-Poetry Festivals, Videobardo (Argentina), Inside the Moment (US), Doctorclip (Rome), Oslo Screen Festival, Cologne OFF, Instants vidéo, Traverse Vidéo (Toulouse), Images Contre Nature (Marseille), Moscow International Film Festival, Schriftfilme (ZKM/Karlsruhe), Typemotion, FACT (Liverpool) and the Taiwan National Museum of Fine Arts. 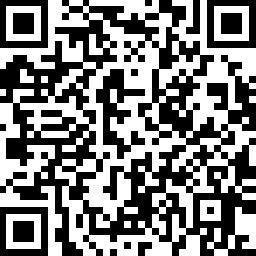 More info at yellowpoetry.com. 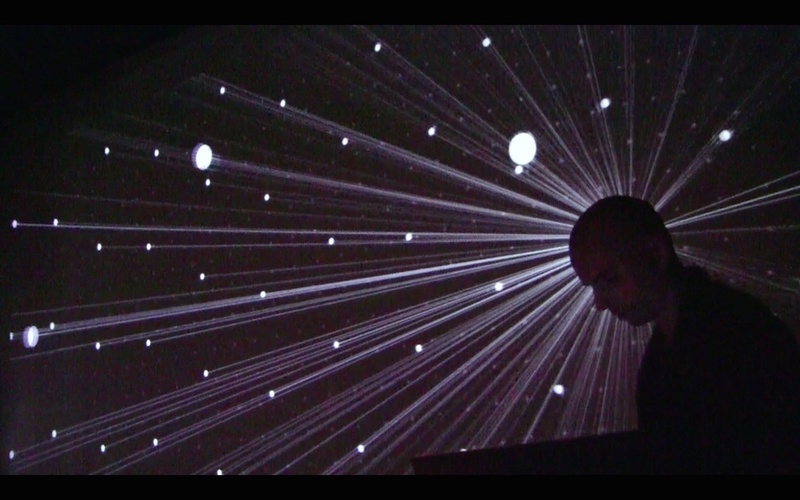 Russian composer Taras Mashtalir is a sonic artist based in New York. A classically trained musician turned electronic music producer, Mashtalir has worked in the fields of TV, film, and advertising in addition to exhibiting nationally and internationally. The method of Mashtalir's work is the exploration of the role of media in the development of literary art practices including video poetry, text generators and performance art. It is the exploration of how text can be transformed by mechanized reading, sonification and visualization and what are the possible limits of this transmedia play of interpretation. The main principles are formulated in his Machine Poetry Manifesto, addressing the idea of liberation of the machines (algorithms) from routine tasks and increasing the intensity of their use for creative and educational practices. More info at sonicartist.me.